Could your staff use an Interpretive Coach? - An indepth analysis/critique of current conducted interpretive programs, tours or experiences. 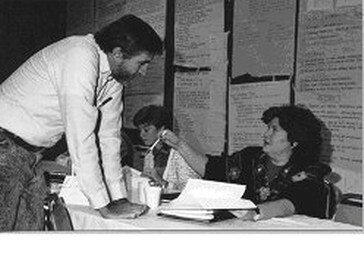 - Analysis of individual/staff interpretive program planning and presentation skills. - One-on-one or small group coaching in powerful and meaningful outcome based interpretive programs. - Use of Tilden's interpretive principles (theme based programs that provoke, relate and reveal...). - Use of "tangibles, intangibles and universal concepts" in program development and delivery. - Lots of hands-on learning and practice experiences. 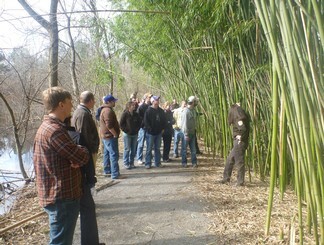 - Helping new interpretive staff, docents or volunteers realize their true interpretive potential. - Helping interpretive staff feel inspired, motivated and confident in their program delivery skills. 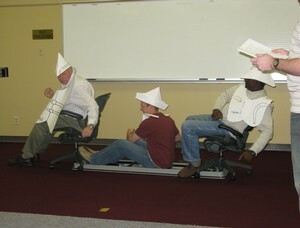 Photos from some of JVA coaching sessions - US Army Corps of Engineers Interpretive Rangers. Coaching in presentation skills for interpretive programs. 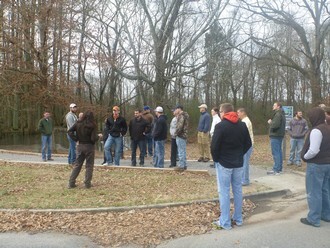 Coaching in interpretive presentations - COE training at Wheeler NWR, Alabama. 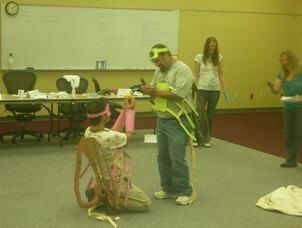 The coaching is a part of all of our 4-day interpretive training courses. Ask for a PDF copy of our publication: The Art of Critiquing and Coaching Interpreters. 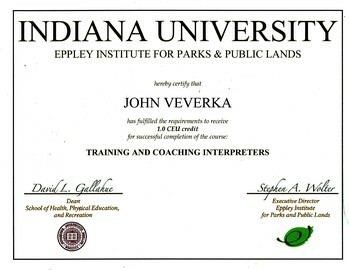 PS - John also has completed the Training and Coaching Interpreters course with the National Park Service, Eppley Institute for Parks & Public Lands.